We are raising livestock from a Sustainable Practice Management Model. We are cultivating genetics to thrive on pasture, hay and minerals. 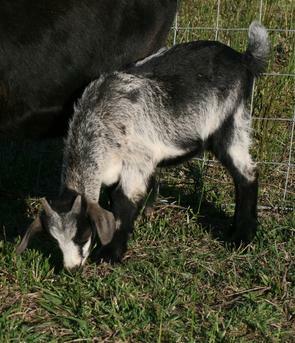 We raise Spanish Goats, hair sheep, Devon Cattle, and Anatolian Livestock Guard Dogs. Spanish Goats are hardy, parasite resistant and great mothers. 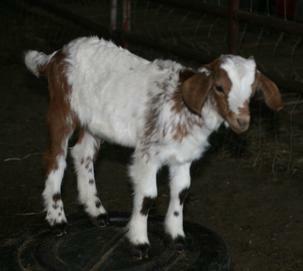 We are breeding Spanish goats to preserve the breed and sell stock. We are preserving the Baylis and Low Country blood lines within the Spanish breed. Our Spanish Goats are SGCS Certified and DNA Registered. 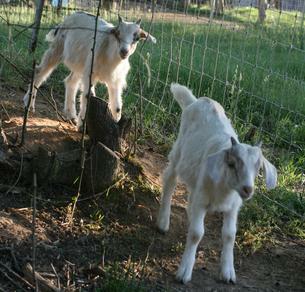 Spanish goats are listed with the Livestock Conservancy. We consider our hair sheep to be a commercial herd. We do have pure Katahdin and St Croix but we are also crossing these two lines for vigor. We are raising registered pure Devon cattle and crossing them with Angus for meat production. We are breeding and training Anatolian Shepards as livestock guard dogs because we want to raise our livestock in pasture and protect them from predators. Our dogs are friendly and approachable. They love their animals and do their jobs well. We will have puppies in 2016. We are sustainably stewarding 314 acres of God’s country. We honor all aspects of life as we navigate the course of co-creating a successful farm by selling our products. Our Farm is on 314 acres in Abbeville South Carolina. Hardwoods, creeks, ponds and gentle pastures are home to over 400 domestic livestock animals and a rich community of wild life. Our vision is to sell our products directly to you. We invite you to visit our farm and our products page!